Royal Media services have hired MC Antonio to replace comedian Wilbroda who ditched Radio Citizen for Milele FM together with the then Jambo Kenya host Francis Luchivya. 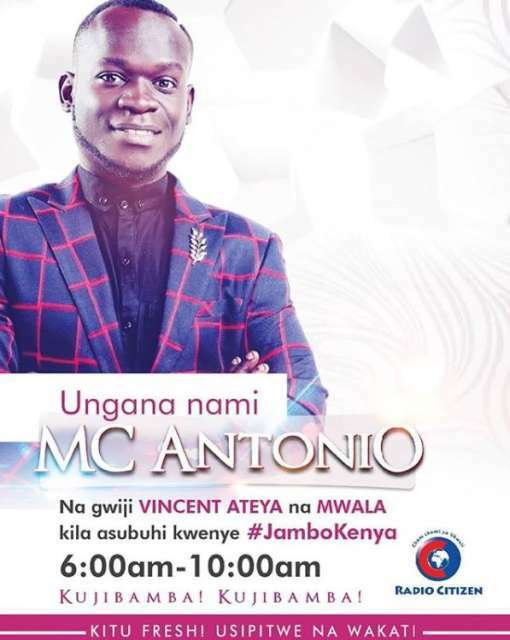 MC Antonio will now work alongside Vincent Ateya and comedian Mwala in the newly re-launched breakfast show ‘Jambo Kenya’. “SITASEMA MENGI! THOSE WHO KNOW ME UNDERSTAND THE JOURNEY MAY THE GOOD GOD GUIDE ME! TUPATANE PALE @radiocitizenfm ENERGY LEVELS KILA ASUBUHI NA GWIJI, MZEE WA KAZI @vincentateya PAMOJA NA MWALA KWENYE #JAMBOKENYA 6AM TO 10 AM! MUSIC, LAUGHTER AND SERIOUS MATTERS. #TWENDEKAZI,” said MC Antonio. 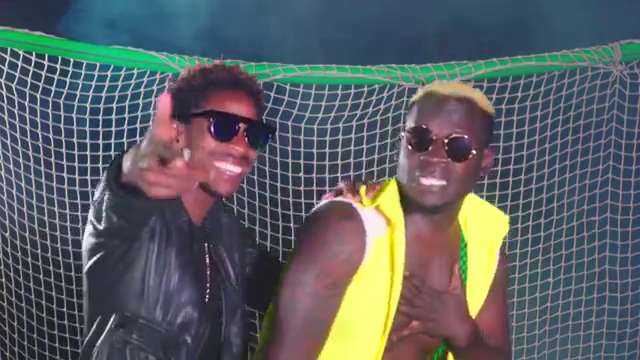 MC Antonio started under Eric Omondi after working as a script writer, actor and hype man.